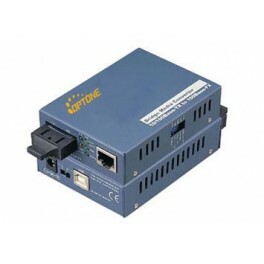 OPT-1300 is a 10/100Base-TX to 100Base-FX media converter, which features LFP (Link Fault Pass-through) function for easily tracing the network link failure. LFP function can enhance the integrity and conformity of the TP-Fiber linking to improve the maintainability of the network. 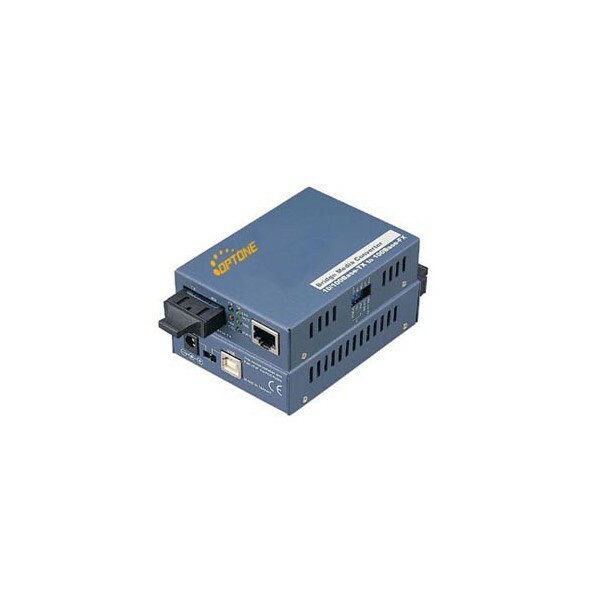 OPT-1300 is powered through external power adapter or uses power from USB port on the hosting device such as PC or NB. 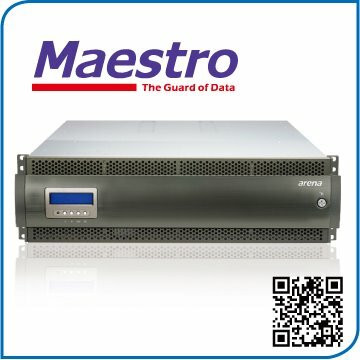 This unique idea of using USB port power offers great flexibility when deploying this converter. Five LEDs are provided to monitor the operation status of the converter and the DIP Switch on the side panel is used to set the required working configurations to meet various applications.OPT-1300 can be used as a standalone unit or as a slide-in module to OPT-R14 converter rack (up to 14 units) for use at a central wiring closet.